I moved out of my family home when I was nineteen years old, and throughout my four years at university moved house every six months (I have no idea how I managed that looking back- moving out is stressful!) Throughout that time I used and temporarily owned various bits of furniture, a mixture of inexpensive pieces I bought with my student loan money as well as furniture that was already in the places I rented- fully furnished houses make much more sense when you're a student, even if most of the time what's in there is prettttyyy hideous. Since graduating from uni and moving into my own permanent home, I've of course bought my own pieces that fit with my space, style and lifestyle and am finally happy with how everything looks and fits. Buying furniture is a huge expense when you move out, but as long as you choose wisely it should last for many years. Here are the things that I think are worth investing in! Getting ready in the morning is so much less stressful when you have a dressing table to sit down at, with all of your products at arms reach. I find that I'm much more inclined to stick to my skincare routine when I have a nice place to sit down and go through it, and having to rush to get out of the door is a lot less of a problem when you know your skincare, makeup and hair stuff is all in one place. I think it's nice to have a proper place where you can sit and get ready, as well as to store your products. Seeing as you spend a huge proportion of your life in bed, it makes sense to invest in quality. If you're going to skimp on anything don't let it be the bed- a cheap, rickety and springy thing is going to cause you nothing but sleep problems and stress. One of the first pieces of furniture I invested in when I moved into my first permanent home was the bed, I bought the biggest one I could possibly find (buying 'superking' sized bedding is never fun though, it's always twice as expensive!) A good quality mattress on a sturdy bed will last you for years, so it's better to go with the best that you can afford rather than having to constantly replace cheap mattresses that have gone springy and lumpy. I've always gone for divan style beds, but if I were to ever replace my current one I'd definitely go for something like this- isn't it beautiful? A comfortable sofa is an absolute essential in any home, the last thing you want is to be getting a stiff back or neck while you're trying to watch tv or relax in the evenings. I think finding a balance between looks and comfort is important here, for me something you can really lounge on and sprawl out on is important- I don't know about you but sitting upright in a hard armchair just doesn't do it for me! I think if you have pets or kids it's always worth going for leather as it's more hardwearing and easier to clean, I'd love a corner sofa but sadly my living room is the wrong shape. I'm sure there are a lot of people out there who wont see this as an essential at all, but for me you can't beat the look of matching bedside tables with matching lamps. It gives the bedroom much more of a finished and grown up look and makes everything look so much more balanced. If you spend any length of time sat at the computer then you'll massively benefit from owning a decent desk- especially if you're a freelancer, blogger or do any kind of work from home. I never owned a proper desk until this year but I can't imagine going back now, I'm way more productive and motivated when I sit there. 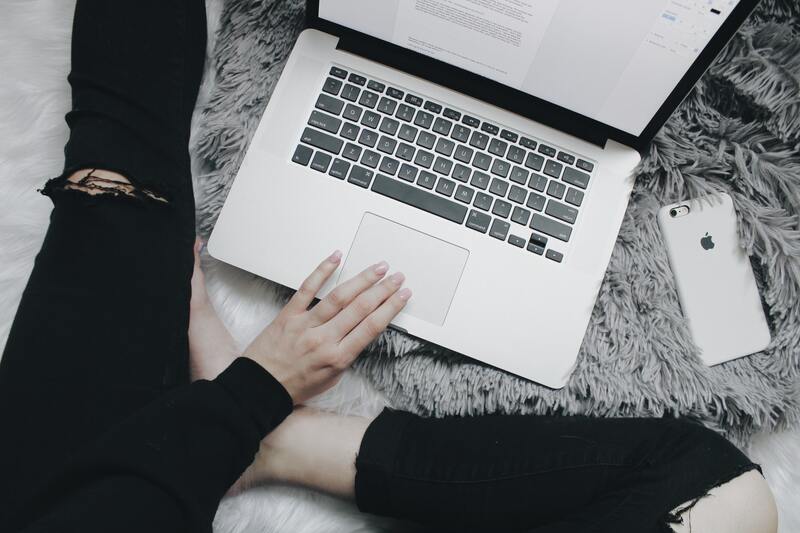 I think it's because I know when I sit down at my desk I'm mentally prepared to get some work done, whereas if I'm sat typing away in bed it's easy to get a bit too cosy and get distracted by the joys of Netflix. What furniture do you think is worth spending a bit extra on? 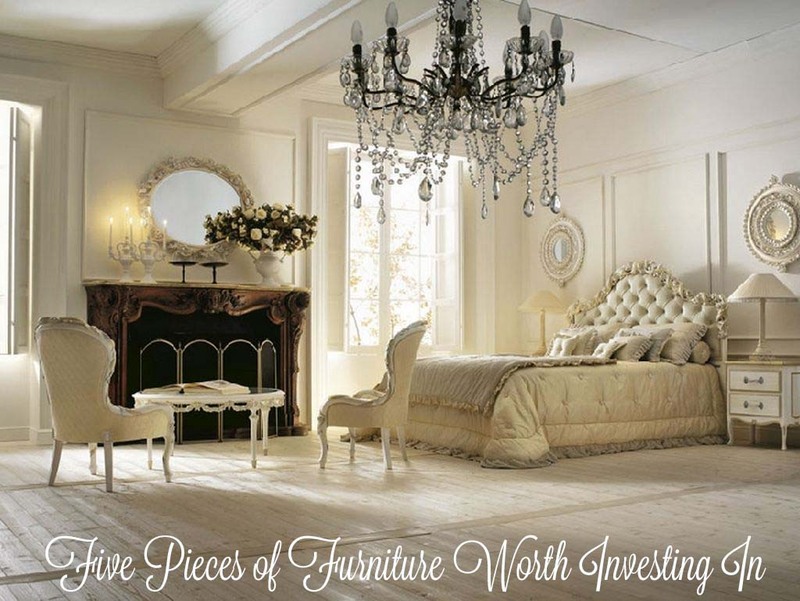 Totally agree with all five pieces of furniture you've included in this post! The first thing I bought before I moved into my first house was a new bed, but it was a metal frame bed, so I wish I'd bought a better quality mattress, because sometimes I can feel the bars from the bed through the mattress lol. I really want to get a dressing table and a desk area, but our space is so limited, so we can't fit these anywhere - it would make life so much easier if everything was organised in its own place though, especially if the desk was a blogging area! That bedroom is gorgeous, I have a chandelier in my room too, I think it adds so much charm!